The first statue erected in Reading was that of Frederick Lauer, the pioneering Reading brewer. In 1885, the United States Brewers’ Association hired Henri Stephens to create the Lauer statue, and, with the consent of City Council, placed it in City Park. The physical structure is quite tall, and consists of two parts. Memorial sculptures are “generally portraiture,” (Norton, p. 155) and this one is as well. The top part of the monument is a life-size likeness of Lauer, cast in bronze. He is portrayed wearing a suit which is covered by a long overcoat. The statue stands on a four-sided cement pedestal, with each side contain- ing a plaque. These plaques serve as a guide to investigating Frederick Lauer as a brewer and a citizen, which in turn, reveals more about the nineteenth-century Reading community. Lauer successfully produced and sold alcohol throughout his entire life, even though a large portion of the country was calling for the abolition of it. He did his best to legitimize the use of alcohol, and he served the Reading community untiringly. Justifiably, Frederick Lauer was represented in the first monument erected in Reading because he embodied the ideals of a large part of his community. The front plaque establishes who the statue commemorates, who erected it, and for what reason. It states: “To Frederick Lauer of Reading, Pa. The United States Brewers’ Association of which he was the first president has erected this monument in grateful remembrance of his unselfish labor for the welfare of the brewing trade in this country. Charles Elliot Norton, in 1865, wrote, “Peculiar difficulties will surround and hinder [the building of monuments], because nearly all these proposed memorials will be built, if at all, by associations; few by private persons” (p. 154), and such was the case for Reading’s first monument. Just two years following Lauer’s death, the monument was constructed and stood on public grounds. Lauer was a prominent leader in the beer industry. During the Civil War, the need for financial support to sustain the Union’s war effort resulted in the first federal tax on malt beverages (Homan, p. 39). This tax prompted the eventual founding of the U.S. Brewers Association. It seems logical for the brewers to organize a protest against the tax, however, they did not pursue this course of action. Lauer and other established brewers believed that the tax was advantageous to the industry, as a whole, because it would discourage unsanitary practices and crooked manufacturers, which cut into the trade of reliable brewers (Homan, p. 39). Lauer toured European breweries to study their manufacturing, and their tax situation. During his trips abroad, he wrote several letters to the Reading Gazette, which were published in German, as well as in English. He returned with recommendations to establish a permanent tax, but to keep it at the affordable price of $1 per barrel (Homan, p. 39). The tax must be kept down to allow the brewers to continue to sell their product at a low price. Due to his experience and success, Lauer “quite naturally became the first president of the national association upon its organization in 1870” (Montgomery, p. 784). The plaque that faces west also addresses Lauer’s close association with the brewing industry. It reads, “Let his example tell the brewers of this country to maintain good fellowship to preserve their association, and to defend their rights.” Through the U.S. Brewers’ Association, he maintained his ties with other brewers around the country, but his relationship with the brewing industry began long before 1870. Lauer was born on Oct. 14, 1810 in Gleisweiler, Germany. At the age of 12, his family immigrated to the United States, settling in Womelsdorf, PA. Under his father’s tutelage he quickly learned the brewing process. Their small brewing practice grew, so they moved into a larger building in Reading, and by age 16, Fred was foreman and accountant of the brewery. He was a dedicated worker, arising daily at 2 a.m., so that deliveries could be made by breakfast. In 1835, at age 25, he became proprietor of the new plant on North Street, and remained there until his retirement in 1883 (Meiser, p. 28). Lauer felt a very close association with his German heritage and the Democratic party, the two groups who (often overlapping) comprised an overwhelming majority of his customers. The majority of Berks County citizens were German immigrants, and Lauer employed many of them (Hoch). Peter Barby, who by 1860 had established his own small Reading brewery, began as an employee of Lauer (Montgomery, p. 584). John Roehrich, a proprietor of ice and cold storage, was first employed in Reading as Lauer’s errand boy (p. 666). Lauer brought Lewis Bloom, who had learned the cooper’s trade in his native land, from Philadelphia to Reading to make barrels and casks for the brewery (p. 874). John Bachover, proprietor of a hotel and cafe in Reading, worked for the brewery for 22 years (p. 1067), and John Stocker worked for him 17 years before opening his own small brewery in Schuylkill County (p. 1447). All these men were born in Germany, and came to America with great uncertainty. Lauer, a German immigrant himself, had compassion for these men; he employed them in his brewery, giving them an opportunity to advance in their new community. The “melting pot” image was nothing but a myth in nineteenth-century Reading. He maintained close contact with this old country and its language. He returned to Germany several times, and had his two sons receive their higher education in Germany. One son studied the scientific study of beer, porter, and ale, so that he might carry on the family’s German tradition. Lauer was a stout Democrat, and he was quite active in the political arena. One of his sons was named Franklin Pierce Lauer because he was born on Nov. 8, 1852, the day that the Democrat Pierce was elected President of the United States (Montgomery, p. 783). Frederick represented the Berks district at the National Convention of 1860 which met in Charleston, S.C., but he voted for Stephen Douglas to oppose Lincoln, and when secession broke out the next year, his popularity sagged (Homan, p. 39). He quickly took other actions to prove his loyalty to the Union. One of these was “to invite Reading soldiers in every volunteer company and drafted group, and all troops passing through Reading, to a free lunch at his garden at 3rd and Chestnut streets” (Homan, p. 39). Although Lauer showed special kindness towards Germans and Democrats, he was also a philanthropist for the community as a whole. The plaque on the back of the monument, which faces north, states: “The city of Reading commemorates the public and private virtues of an honored citizen by the grant of this location. Erected 1885, the year of the Twenty-fifth convention of the United States Brewers’ Association.” Lauer was instrumental in changing Reading from the status of a borough to that of a city in 1847. 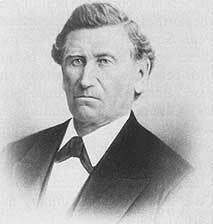 He was a member of Select Council from 1865-7 1, serving as its president during the 1867-68 year (Montgomery, p. 220-2 1). He assisted in organizing the Berks County Agricultural Society and the Board of Trade, serving presidential terms for both organizations (Montgomery, p. 784). Lauer also helped finance the Reading and Columbia Railroad, and he was a member of several charity groups: the Reading Dispensary, the Reading Relief Society, and the Reading Benevolent Society. Lauer’s untiring civic involvement created great respect for him within the community. Other community investments more directly benefited his workers, which in turn helped his business. He was one of the organizers of St. John’s German Lutheran Church in his early years in Reading (Homan, p. 39). He wanted to establish a place of worship for his fellow Germans, as well as instill nobleness in his workers. Later, he had part of his seven acre lot landscaped into a park for community recreation (Meiser, p. 32). Following Lauer’s death, at the turn of the century, the park was converted into a baseball park where semi-professional teams played games. The Reading community that Lauer helped foster followed the national trend, providing communal parks in mid-century, and then catering to organized sports toward the turn of the century. The establishment of Lauer’s Park, like many other reform movements of the nineteenth century, tried to provide virtuous activities for the community, particularly for the workers of the brewery. However, although Lauer offered very much to his community, the nature of the brewing industry was held in discredit by many advocates of prohibition during this time, and it was always in danger of legal restrictions caused by the temperance movement. The fourth and final plaque that is part of the Lauer monument is contradictory. It states: “His zeal sprang from his firm conviction that in striving to advance the brewing trade he was working for the cause of national temperance.” This statement is written about a man who at a Brewers’ Congress meeting, ascribed the defeat of the Turks due to the fact that “they are a nation of water drinkers, and hence have become a stagnant morass – an offence to civilization – so that the Russians, good, solid drinkers, naturally proved conquerors” (New York Sun). Although the temperance movement was not as powerful in the German-dominated Berks County region as it was in other parts of the country, the ominous temperance movement forced American brewers to be selective in their word choice, especially in the public sphere, so as to create a positive image for their trade. The temperance movement posed a constant threat to Lauer and his brewery. In 1826, the American Temperance Society was formed in Boston, and a decade later, the organization redefined the word “temperance” to mean abstinence. This society headed a movement that lobbied for legal prohibition of alcohol. The movement was overwhelmingly led by American-born, Protestant, non-urban Republicans. In 1846, Maine became the first state to pass statewide Prohibition laws. In assessing the effectiveness of Maine’s laws, Lauer wrote, “It is a complete failure. It can be shown by statistics that almost every town in Maine has MORE DRUNKENNESS now than when before the prohibitory law was in place” (Reading Eagle). By 1865, thirteen states had similar Prohibition laws, but Pennsylvania never adopted state Prohibition laws because like most “urban, industrial northern states, with large immigrant populations, the majority were wet” (Encyclopedia Americana). Still, the danger was ever-present. Lauer fought against Prohibition with more vigor than any other endeavor he embraced. Despite all of his noble civic efforts and political involvement, in the height of his career, he wrote, “I am a brewer first and a politician afterwards, or in other words, I do not intend to sacrifice my brewery and the accumulations of a long life for any empty honor of political predilections” (Daily Eagle). Lauer used the newspaper as a public forum for his views; whenever a minister would preach in favor of Prohibition, “the following day would find Lauer with a challenging statement to the newspapers” (Homan, p. 39). He argued that intemperance was a medical problem, and that it could never be contained through legal means. In 1881, in response to the growing number of Prohibitionists, an association called the Liquor Men was organized in Reading. At the first meeting, one member expressed the grievances of all alcohol producers when he professed, “We pay our taxes; we pay our license; we are friends to everybody; we are willing to let them alone and they must let us alone We cannot all be ministers, lawyers or doctors. It is my trade and I intend to follow it up as best I can, honestly and as becomes a good citizen” (Reading Eagle). Lauer, like other men in his profession, like those who erected his statue, tried to establish respectability in his profession during a time when it was unfashionable. The Lauer monument was erected in 1885, and just 36 years later, in 1919, nationwide Prohibition became law as the Eighteenth Amendment was passed. In the face of such difficult times for brewers such as Lauer, why was the monument allowed to be erected on the public grounds of City Park? Primarily, because the U.S. Brewers’ Association absorbed all costs incurred by the monument, but more important- ly, because of the many contributions that Lauer made to the Reading community as a citizen, the honor bestowed on him, according to most people, was justified. When Lauer had a celebration commemorating his fiftieth anniversary in Reading, the mayor printed an apology to him in the local paper because he could not attend due to prior commitments. Late in his career, Lauer spread his capital thin, and when he tried to save his brother’s Pottsville brewery from bankruptcy, he came on hard times (Meiser, p. 32). However, even the president of the Law and Order League, I. C. Detweiler, upon hearing of Lauer’s financial woes, was compassionate. He stated, “as a man, I feel very sorry for Mr. Lauer; but for the business it was a God-send The failure was not more than could be expected, as all brewers and distillers would come to just such an end” (Reading Eagle). As a citizen, Lauer was well respected, but there was still objection to a statue of a brewer being raised on city ground. Ministers and churches lead the objection, but their protest was in vain. Advocates of the monument “said it was well that it stand at the head of Penn street where everyone could recall his unselfish public career and service. The opposition favored the site too . . . They said they favored the site because the Lauer monument would stand in front of the county jail and look over toward the almshouse in Shillington” (Homan, p. 39). The Prohibitionists felt that it was proper that the brewer be in such lowly company. The proposal passed City Council, and in May of 1885, Reading’s first monument was erected, to a brewer no less. Author’s Note: Andrew T. Kuhn, of West Reading, is a student at Franklin and Marshall College, Lancaster. An honor graduate of Wyomissing Area High School, he volunteered this summer at the Historical Society. At F&M he is a triple major. American studies, English and history. Encyclopedia Americana. Volumes 22, 26. Danbury, C. T.: Grolier, Inc., 1989. Hoch, Danny. Echoes of Scholla. Kutztown, PA: The Berkshire Foundation, 1976. P. 70. Homan, Wayne E., Reading Eagle: The Heritage of Berks. ‘Fred Lauers Brewery. September 12, 1965. Meiser, George M., and GloriaJ. Meiser. The Passing Scene. Vol. 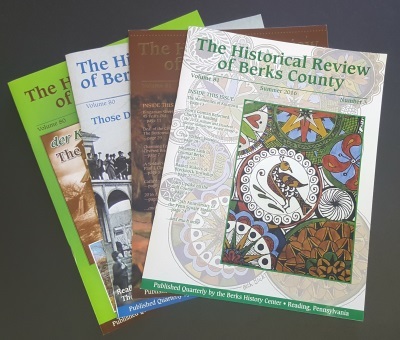 I. Marceline, M. 0.: The Historical Society of Berks County, 1982. Montgomery, Morton L. Histerical and Biographical Annals of Berks County, Pennsylvania. 2 volumes. Chicago: J. H. Beers & Co., 1909. Norton, Charles Elliot. The Nation. “Something About Monuments.” Aug. 3, 1865. *AII of these articles came from ‘Scrapbook devoted to the life of Frederick Lauer, the early Reading Brewer” located in the library of the Historical Society of Berks County, under F1IAGL372 mic. 7 #5. None of these articles were dated. Special thanks to Mr. Harold Yoder and Ms. Barbara Gill for their help in my researching process.